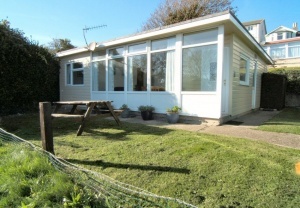 Chalet bungalow in a beautiful tucked away position overlooking Wheelers Bay with superb sea and coastal views. Easy access to Wheelers Bay and car park close by for the residents use only. 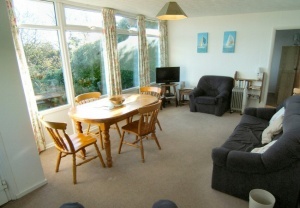 The chalet has three bedrooms, a kitchen, bathroom and a good size living/ dining room with excellent sea views. 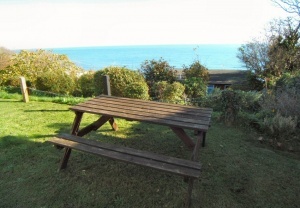 To the front is a small laid to lawn garden with its own wooden picnic table where as one can sit and enjoy the southerly outlook and the sounds of the sea coming into Wheelers Bay. 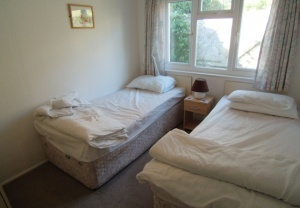 The property is freehold and is offered for sale with vacant possession and chain free. Fitted carpet. Space for dining table and chairs. 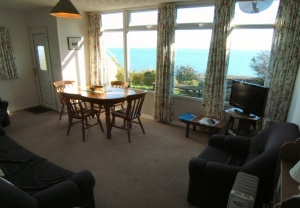 UPVC double glazed windows to front enjoying a southerly aspect and superb sea views. Door to small inner hallway with space to hang coats and store shoes with an opaque UPVC double glazed window to side. Fitted with wall and base cupboard units with work surface over. Space and point for electric cooker. Space and point for fridge/ freezer. 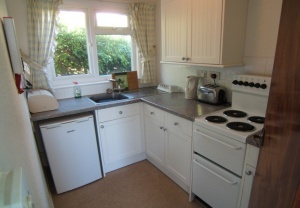 Stainless steel sink unit with drainer and mixer tap over. UPVC double glazed window to rear. 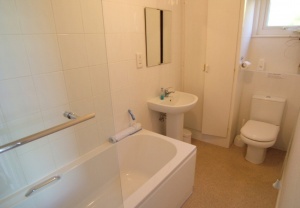 Fitted with a white suite comprising of; bath with shower over and shower screen, wc and a pedestal handwash basin. Airing cupboard housing an immersion heater. Opaque UPVC double glazed window to rear. 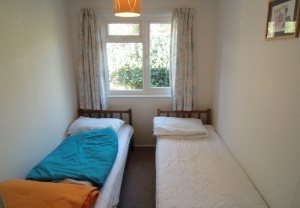 A double bedroom with fitted carpet and a UPVC double glazed window to front enjoying a southerly aspect and fine sea views. 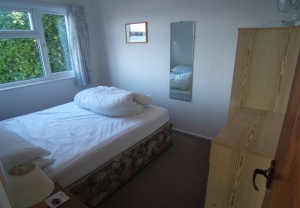 A double bedroom with fitted carpet and UPVC double glazed window to rear. Fitted carpet with UPVC double glazed window to rear. 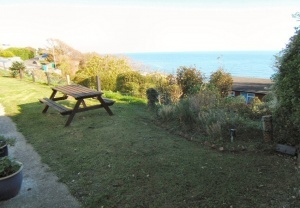 Small laid to lawn garden to front with wooden picnic table enjoying superb coastal and sea views. 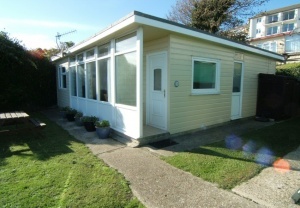 To the side of the bungalow is a shed and a footpath that leads round to the rear of the property. 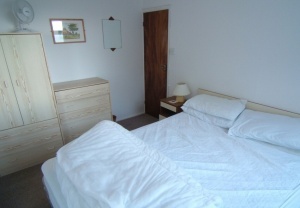 The chalet sits above Wheelers Bay and benefits from a southerly aspect. 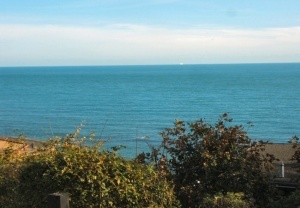 On the adjacent side of Wheelers Bay Road is Ventnor Holiday Villas own car park for residence use only. Strictly by appointment only through the vendors joint sole agents 01 Estate Agents.